1. Compact Fluorescent Light Bulbs (CFLs) use 75 percent less energy than standard incandescent bulbs and last up to10 times longer! If every household in the U.S. changed just five of their most frequently used light fixture bulbs to CFLs, we would prevent greenhouse gases equivalent to the emissions from nearly 10 million cars. 2. Reduce, reuse, and recycle—recycle your newspapers, beverage containers, paper and other goods. Use products in containers that can be recycled and items that can be repaired or reused. In addition, when going to the store, consider bagging your own groceries in cloth, reusable bags. 3. Fix leaks—faucets that leak flow at a rate of one drip per second and can waste more than 3,000 gallons of water a year, while a leaky toilet can waste about 200 gallons a day! 4. Turn off the water! The average bathroom faucet flows at a rate of two gallons per minute. So, turn off the faucet while brushing teeth. Doing so each morning and evening can save up to 8 gallons per day and 240 gallons a month! 5. Clean your driveway or sidewalk with a broom instead of hosing it down with water. You’ll save at least 80 gallons of water every time. 6. Use your dishwasher and washing machine only when they are full. The average washing machine uses about 41 gallons per load.Try to avoid small, partial loads–and always use the proper load size selection—using large settings only when necessary. 7. Heat and cool efficiently—as much as half of the energy used in your home goes to these tasks. 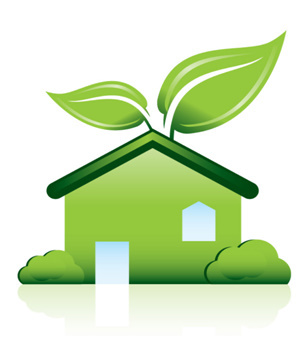 Be sure to change your air filter regularly, tune up your HVAC equiptment yearly, and seal your house thoroughly. In the summer raise your thermostat two degrees. In the winter lower your thermostat two degrees. 8. Install a programmable thermostat to better regulate the temperature in your house through the day and night. Using a programmable thermostat can save you about $180 every year in energy costs and help the environment. 9. Consider replacing your appliances (or those you buy from now on) with ENERGY STAR qualified appliances. ENERGY STAR qualified appliances incorporate advanced technologies that use 10-15 percent less energy and water than standard models. 10. Water Heater Temperature Settings: Setting the water heater at a lower temperature can save 5-10 percent of the energy bill. If the house does not have a dishwasher, the water heater should be set as low as possible and still maintain sufficient hot water for your family. Most fabrics do not require a high temperature during laundering either. 11. Ceiling Fans: In the summer, the fan should run at high speed to provide the desired breeze. Note that most ceiling fans are reversible. One direction is appropriate for summer while the other is for winter.